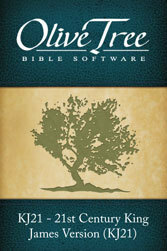 This translation of the Bible is an accurate update of the King James Version from A.D. 1611. While easier to read and understand, it preserves the traditional Biblical language and sacred message of its historic predecessor. The 21st Century King James Version of the Holy Bible (KJ21) is the solution for Bible readers who love beautiful, reverent language yet want accuracy, clarity of meaning, and reading ease.